The UPSC is a central body while police is a state subject, but after a Supreme Court order in January, it has to get involved in the selection of DGPs. New Delhi: Earlier this week, the Union Public Service Commission (UPSC) shortlisted three senior IPS officers for the post of Punjab’s Director General of Police (DGP). The list is soon expected to be sent to the state government, which will be bound to select the DGP from the list. This is the first time that such a shortlist has been created, after the Supreme Court directed in January that states must select their police chiefs from a list of officers empanelled by the UPSC. The UPSC is learnt to be seeking legal clearance for the names before finally sending them to Punjab Chief Minister Amarinder Singh. ThePrint looks at why the apex court asked UPSC — an institution under the central government — to recommend names for the DGP’s post, a function that has been a state subject until now. The Supreme Court’s recent directions are in keeping with its landmark 2006 Prakash Singh judgment, which brought about a series of police reforms. To minimise political influence in the appointment of top cops in the states, the court had said that the UPSC would empanel three officers in every state on the basis of the candidates’ length of service, service record and range of experience. The state would then select one of the three officers to head its police. According to the directions, the states are required to inform the UPSC of an arising vacancy three months prior to the retirement of the sitting DGP. In addition, the chosen DGP is supposed to have a fixed tenure of no less than two years. This is to ensure that the officers are not shuffled with changes in government. However, even more than a decade after the passage of these directions, few states complied with them. For example, soon after the Congress government came to power in Rajasthan in December, it removed the sitting DGP, O.P. Galhotra, and appointed Kapil Garg in his place, even though Galhotra had not completed the two-year tenure mandated by the Supreme Court. Rajasthan is, however, no exception. An assessment of the compliance status of states and Union Territories with the 2006 Supreme Court directives found that in 23 out of 29 states, the power to appoint the DGP continues to be with the state government. 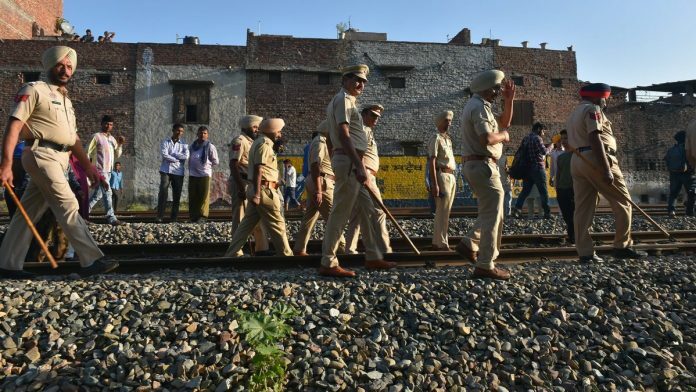 In December 2018, five states — Punjab, Haryana, Kerala, West Bengal and Bihar — filed pleas in the Supreme Court, seeking to implement their own local laws for the appointment of the DGP. Finally, in January this year, the Supreme Court dismissed the pleas, and told the states to consult the UPSC for the empanelment of IPS officers to the post of DGP. While the Supreme Court ruled that the directions in the Prakash Singh judgment were in public interest, the order came as a rude shock for the state governments. They had argued that the directions went against the federal nature of the Indian state, and gave unnecessary power to the central government in matters of the police and public order, which are state subjects. Further, the state governments said the directions were in contravention of Article 320 of the Constitution, according to which, the function of UPSC is limited to providing consultation to states on appointment, transfer or promotion related to civil services and posts. However, the Supreme Court was of the view that in order to insulate the police from political interference, it was necessary to ensure that the appointment of the DGP was not done solely by state governments. Rajasthan is not the only state where DGP was removed without completion of tenure. Himachal Pradesh, Haryana, Chhattisgarh and J&K also removed the DGPs unceremoniously. The Apex Court will fo well to review all these cases if justice is to prevail. The Print should also do s story on the removals before completion of tenures and immediately after change of government. Congress / BJP / Left / TMC / JDU. Observe the rare, all party consensus when it comes to states wanting their own man as DGP. CMs, especially those from regional parties, who do not have a high command in Delhi, run a very tight ship. To a greater extent than the civil service, the police is completely aligned with the political executive. Not much, with respect, the apex court can do to change the situation. 2. On a point of principle, selecting DGPs is not the UPSC’s job. Its task ends with selecting mandarins at the point of entry. It also needs to be consulted in the matter of disciplinary proceedings. Another task is advising when state service officers are inducted into the IAS / IPS, where again state governments have their favourites.